ItemB-03702 - "CPR SS Princess Charlotte, Vancouver Victoria Service". ItemB-03704 - "Government Street, Victoria, BC"; looking north from Humboldt Street. ItemF-06179 - "Government Street, looking south; Victoria BC"; from the east side of Government Street between Broughton and Courtney Streets. ItemB-03705 - Douglas Street showing Hudson's Bay Store, Victoria, BC; looking north from the intersection of Yates and Douglas Street. ItemB-03707 - "At CPR docks, Victoria, BC". 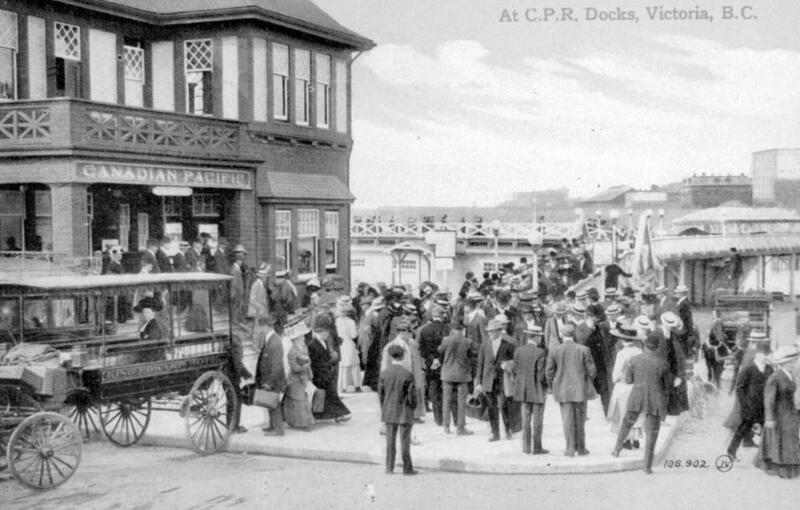 Item B-03707 - "At CPR docks, Victoria, BC".